May is National Bike Month! This event was created and is sponsored by the League of American Bicyclists and is celebrated in communities across the country. National Bike Month began in 1956 and is a way to promote the numerous benefits of cycling and hopefully encourage people to get out there and ride! Nationwide, bicycling is growing as a way of exercising and as a legitimate mode of transportation. According to the League of American Bicyclists, the National Household Travel Survey showed that the number of trips made by bicycle in the U.S. more than doubled from 1.7 billion in 2001 to 4 billion in 2009. Bicycling is also becoming easier than ever thanks to the growth of Bicycle Friendly Communities and other projects designed to make bicycle travel more accessible and safer. In the past, these railroads were used to transport iron ore and coal from the Upper Peninsula. 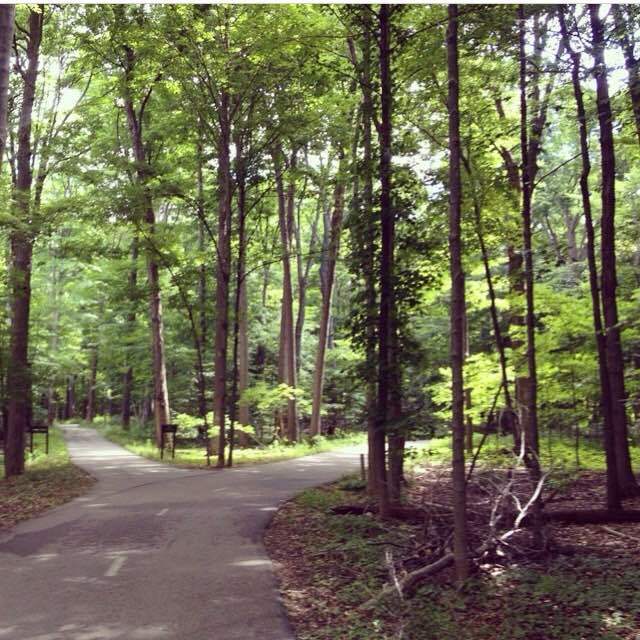 Some of the trails are paved and some are gravel or crushed limestone, but all of the trails allow Michiganders to experience the state’s natural wonders, its wildlife and landscapes away from the noise of traffic. Recent trail openings include the Fred Meijer Clinton-Ionia-Shiawassee Trail that runs 41.3 miles between Ionia and Owosso. 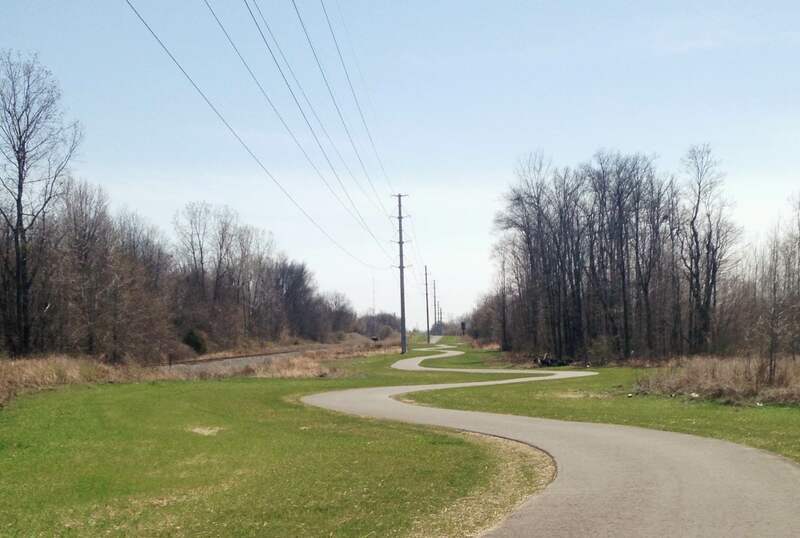 In Lansing, construction was completed last fall of the Sycamore Creek Trail that connects Holt to the Lansing River Trail (which runs from East Lansing to just south of Lansing International Airport). To find out more about Michigan’s bicycle trails and rail trails visit the MDOT Bicycling Page. To locate and see detailed maps of Michigan’s Rail Trails visit the Rails to Trails Conservancy’s TrailLink (you will have to sign up to see the maps, but it’s free!). Bicycle travel is not just a wonderful way to see our beautiful state, it also a great exercise option and boasts many health benefits. Bicycling is a low impact, non-weight bearing activity meaning it causes less strain on our joints and, therefore, causes less injuries than many other forms of exercise. Cycling also uses all of the major muscle groups which makes it a great whole-body exercise. Regular cycling can help our overall health in many ways including increased cardiovascular fitness, increased muscle strength and flexibility, and increased joint mobility. Along with the increase in bike commuting, biking among older adults has been on the rise. An article written by People For Bikes last year looked at the National Household Travel Survey data and found that between 1995 and 2009, 37 percent of the total nationwide increase in bike trips was attributed to bikers between the ages of 60-79. “Many people of all ages are looking for alternatives to the car,” said Kathryn Lawler, director of the Atlanta Area Agency on Aging. “Either they’re just tired of [driving] or they don’t feel comfortable driving.” Atlanta, like many US cities, is not the most bicycling friendly. One of their challenges is making sure that cycling is accessible to older adults as well as those who are considering cycling, but have reservations due to safety concerns. No matter your age cycling can be a wonderful way to explore areas around you, get some exercise, and get from one place to another. It’s also great fun and Michigan offers many resources to those wishing to pursue bicycling as a hobby or for transportation. National Bike to Work Week is May 11-15 and National Bike to Work Day is May 15! Happy National Bike Month! Skye Felsing is a Project Administrator for the PREVNT Initiative who has been at Elder Law since June of 2013. Skye graduated from Michigan State University in 2011 with a degree in social studies education. Prior to working at Elder Law of Michigan, Skye spent 5 months teaching English in Thailand. Upon her return to the United States, she worked as a substitute teacher in the Lansing area. 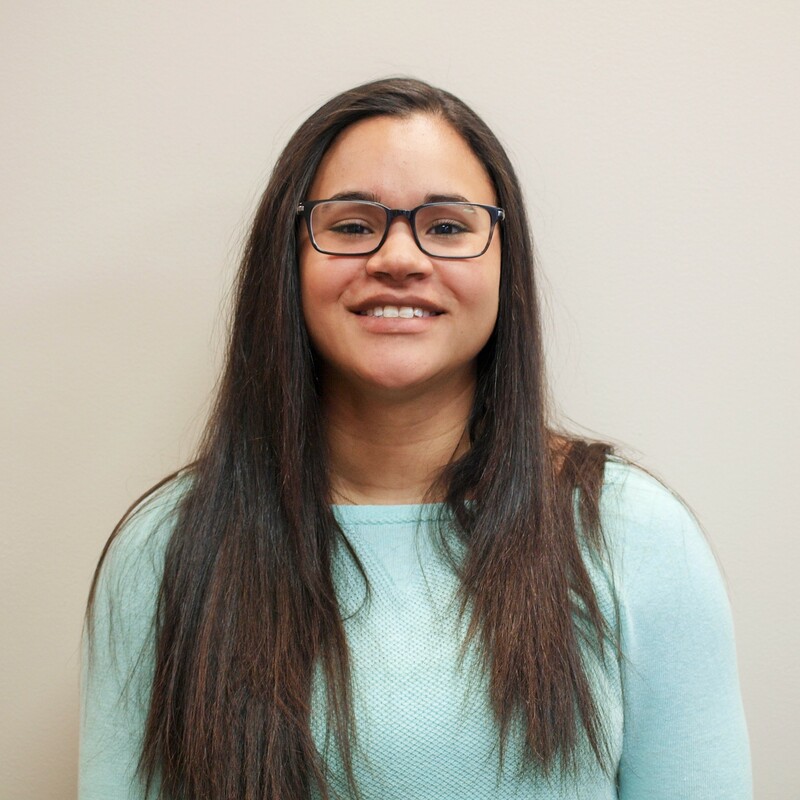 Recently, she has joined the PREVNT Initiative providing administrative support for ELM and our partners in the project.